A fan who has an affair with one minor league baseball player each season meets an up-and-coming pitcher and the experienced catcher assigned to him. 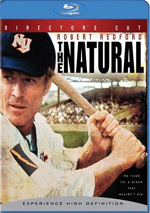 Although baseball movies generally don’t move a lot of tickets, the genre enjoyed a minor resurgence during the late 1980s. Within a year of each other, Bull Durham, Major League, and Field Of Dreams all came out and all did respectable to good business. Maybe the baseball movie actually did have some earning potential after all. The problem with this inference is that of those three films, only Major League truly qualifies as a true “baseball movie”. By that I mean that it became the only one of those efforts that really concentrated on the sport. Major League presented the subject in a fairly farcical manner, but it still focused on the game itself. For the other two films, baseball itself played an integral role but I don't think either movie used the sport as a focal point. Field of Dreams held the weakest link to baseball of the bunch, as it dealt more with relationships, especially in the way sports helps connect fathers and sons. Bull Durham also really provides a relationship movie. For the most part, it concerns a classic love triangle, with all the struggles and pitfalls that come along the way. Young pitching phenom Ebby Calvin LaLoosh (Tim Robbins) shows terrific promise but lacks control – in a variety of ways. To aid in his development, veteran catcher Crash Davis (Kevin Costner) gets sent to the minor league Durham Bulls to become LaLoosh’s mentor. This leads to a contentious relationship, one that intensifies due to the presence of Annie Savoy (Susan Sarandon). Every season, she chooses to romance one Bull and act as his muse. Annie selects LaLoosh, but her connection to Davis causes complications. As noted earlier, I don’t really see Durham as a sports movie. Sure, the world of minor league baseball acts as an integral part of the backdrop, but in much the same way An Officer and a Gentleman framed its picture with the reality of the modern-day military. No one thinks of An Officer and a Gentleman as a film about the military, so why should Bull Durham get classified as a baseball movie? I think that's largely why Bull Durham worked at the box office, as it’s a “sports movie” in which the baseball aspects seemed incidental to the relationships between the three leads. It also helped that the movie was funny, charming, and honest, and that it was executed with a great deal of class. To me, the foremost reason why the film fares as well as it does concerns the cast. Clearly a character-driven film such as this lives and dies with its actors, and from top to bottom, we get excellent performances. As Crash, Kevin Costner offers perhaps his most relaxed and self-assured performance. Watch Bull Durham and you can recall what made him a star in the first place. Susan Sarandon does the miraculous with her role as Annie Savoy. With Costner's Crash Davis, there was some chance that he could come across as mean-spirited or harsh, but the script minimized these possibilities to a fair degree. However, as written, Annie not only could have been but probably should have been insufferable. With all her pretensions and self-importance, Annie seems completely unappealing in the abstract. However, such are Sarandon's gifts that she can take this genuinely obnoxious character and make her fairly charming and ingratiating. To be frank, I'm still not wild about Annie, but I certainly respect Sarandon's ability to avoid what could have been. Tim Robbins' character of simple-minded pitching phenom LaLoosh seems to be the easiest to portray of the three leads, if just because he's in the film the least and because the character is supposed to be more "one-note" and basic than the others. Nonetheless, Robbins infuses his performance with a genuineness that easily could have gotten lost along the way. Bull Durham appears in an aspect ratio of approximately 1.85:1 on this Blu-ray Disc. This became a decent but unmemorable image. Sharpness varied. Much of the movie showed reasonable accuracy, but the film rarely showed great delineation, and some soft spots materialized. Still, overall delineation was more than acceptable, and no issues with jaggies or moiré effects interfered. The transfer lacked edge haloes, and with a good layer of grain, I didn’t suspect digital noise reduction. Print flaws became a minor concern. Occasional specks popped up – mainly in the movie’s first act – but much of the film seemed clean. 1980s stocks didn’t always treat colors well, and Durham showed some of the thickness typical of the era. Nonetheless, the hues were fine overall, so I didn’t discover any concerns in that domain. Black levels also looked reasonably deep and dense but could be a little murky, while shadow detail seemed a smidgen muddy at times. Most low-light situations appeared fine, but a few - like some on the Bulls’ bus - were thicker than I’d like. In the end, this was a watchable presentation but not one that impressed. As for the film’s DTS-HD MA 5.1 soundtrack, the soundfield mostly offered a forward bias, where it provided generally solid stereo imaging. Music showed acceptable spread and delineation, while effects also created a reasonably positive sense of atmosphere in the front. Most of those elements remained environmental, such as crowd noise at the ballpark or chatter in clubs. Surround usage appeared minor. The rear speakers provided a slight amount of reinforcement for music and effects, but they never offered much information. Overall, the mix stayed focused on the front and rarely used the surrounds. Audio quality appeared decent. Speech remained consistently intelligible, and the lines felt fairly natural. Effects came across as acceptably accurate and clean. Music also sounded clear and distinct as a whole. Nothing here impressed, but the audio was fine for its era and the movie’s ambitions. 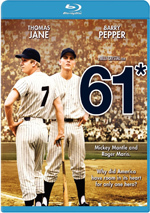 How did the Blu-ray compare to the 2003 Special Edition DVD of Bull Durham? Audio remained pretty similar, as the lossless mix didn’t add much to the limited source material. Visuals showed improvements connected to the greater capabilities of Blu-ray, but that was about it. I preferred the Blu-ray but didn’t think it lived up to the format’s potential. Whereas the 2002 DVD provided a bunch of extras, we get little on the Blu-ray. It includes trailers for Bull Durham, Rocky, Hoosiers and the 1999 Thomas Crown Affair. I’ve always really liked Bull Durham as a film, as it uses baseball as a believable backdrop for romantic comedy. Truly, this is the rare film of that genre that will appeal to male and female audiences. The Blu-ray offers decent picture and audio but lacks supplements. As much as I enjoy the movie, I find this Blu-ray to be a disappointment.